Solid steel construction with durable black powder coated finish. 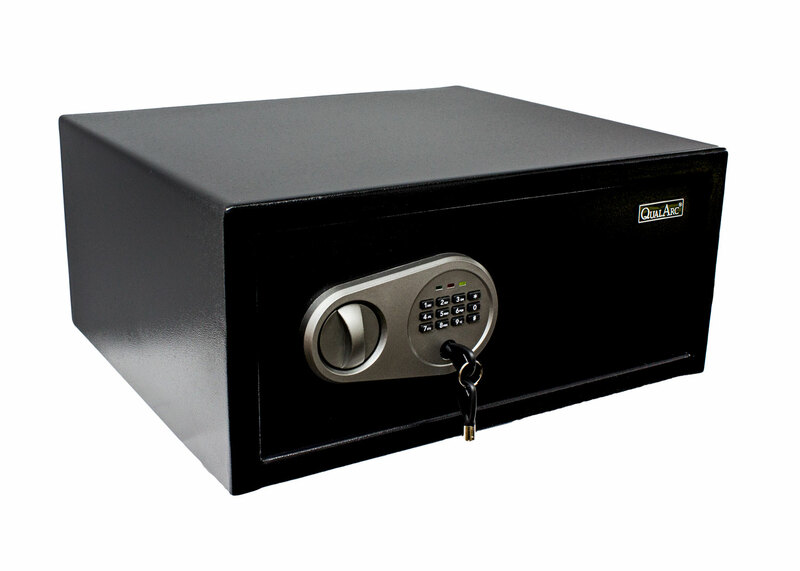 This safe is the perfect size to fit a laptop computer or for hotel room installation. Digital combination with 3-8 user programmable code engages two pry resistant steel locking bolts. The digital lock allows for 3 incorrect combinations before a time out period to prevent multiple guess entry. Pre-drilled mounting holes allow for easy installation. Comes with two back-up keys.